Üsküdar University was in California State University’s Los Angeles Campus to conduct business negotiations. Meetings were held with International Relations department and other departments in order to further develop the relations under the CSU-LA that was signed previously. Üsküdar University Vice Rector Dr. Muhsin Konuk and International Relations Director Emre Üçsular continue with establishing relationships abroad. 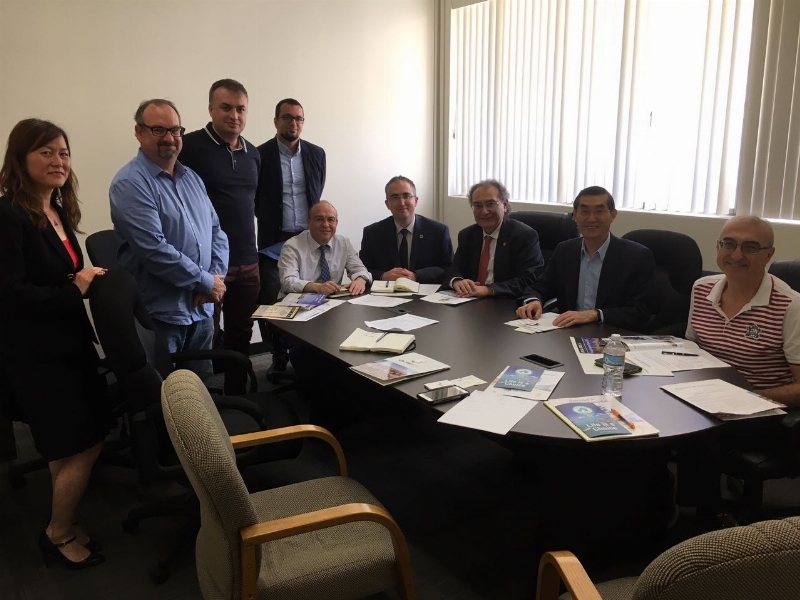 Konuk and Üçsular visited the Los Angeles Campus of California State University in order to further develop their relations under the CSU-LA protocol, that was signed previously. Meetings were conducted in this context with International Relations department and other departments. Negotiation talks were held with the Department of Psychology of California State University-Los Angeles. Dean of International Relations Dr Eric A. Bullar, Director of International Relations of the California State University Los Angeles Campus Amy Wang, Prof Senqi Hu, Professor Ramani Durvasula and Robert Kennison leagued together to discuss the bilateral co-operation and partnership studies.